This is the first major meeting since Dawn's arrival at Ceres, and despite competition with Pluto surface science there was a well-attended Ceres talk session on Monday and poster session on Tuesday. 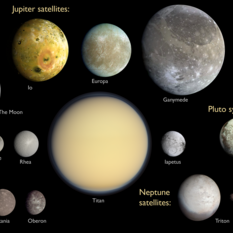 I have a newly updated scale comparison graphic to share: all the round worlds in the solar system smaller than 10,000 kilometers in diameter, now with added Pluto, Charon, and Ceres. 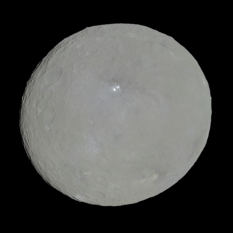 Dawn data from Ceres publicly released: Finally, color global portraits! 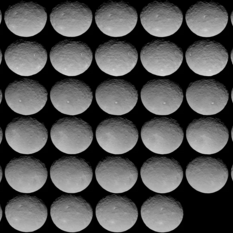 A few days ago, Dawn officially released the first big pile of data from the Ceres mission phase. 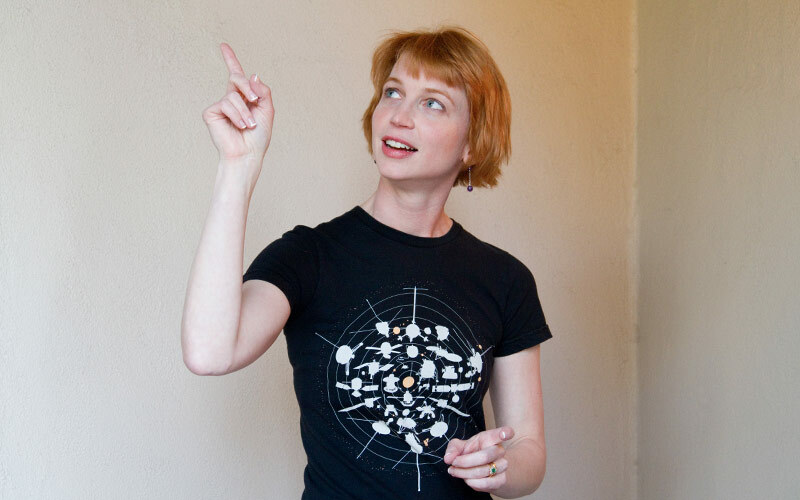 Thanks to the public release, I can show you color global portraits of Ceres. 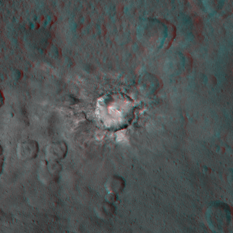 Dawn Ceres image bonanza: Grab your 3D glasses! 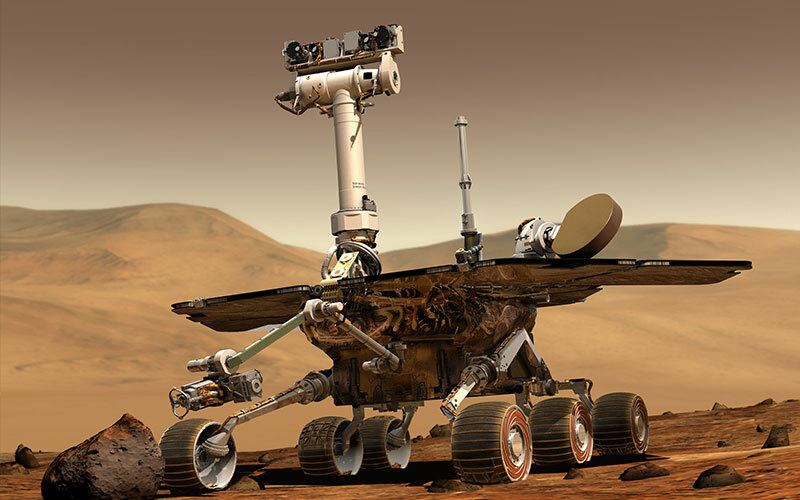 For months, Dawn has been steadily, methodically sharing dozens of images of brand-new sights of a previously unexplored icy world. For the last couple of days I've been making up for lost time, completely buried in the Dawn Ceres images, and I have some maps and 3D anaglyphs to share with you. 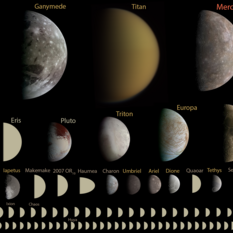 Now that I have a reasonable-resolution global color view of Pluto, I can drop it into one of my trademark scale image montages, to show you how it fits in with the rest of the similar-sized worlds in the solar system: the major moons and the biggest asteroids. 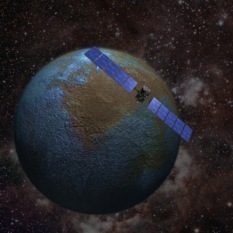 Fantastic new images of Ceres continue to spill out of the Dawn mission, and armchair scientists all over the world are zooming into them, exploring them, and trying to solve the puzzles that they contain. 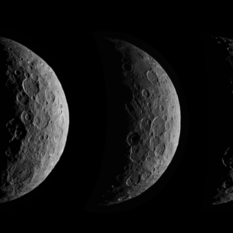 Now that Dawn is in its science orbit at Ceres, the mission has been releasing new images every weekday! 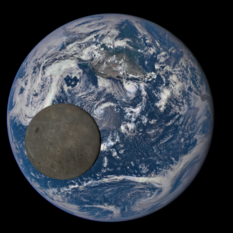 New Horizons took its first color photo of Pluto and Charon, while Dawn obtained a 20-frame animation looking down on the north pole of a crescent Ceres.